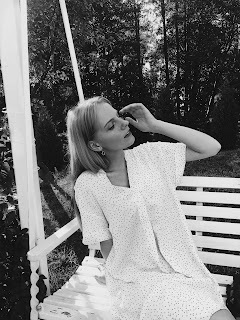 November started a week ago and I am so ready for the December to come. Really hating that sun goes down so fast and like at 5pm feels like 8pm. This week was a not that stressed as a few others weeks. Also, some great things happened and I am so happy about it! You will hear about it on my Instagram in some time. 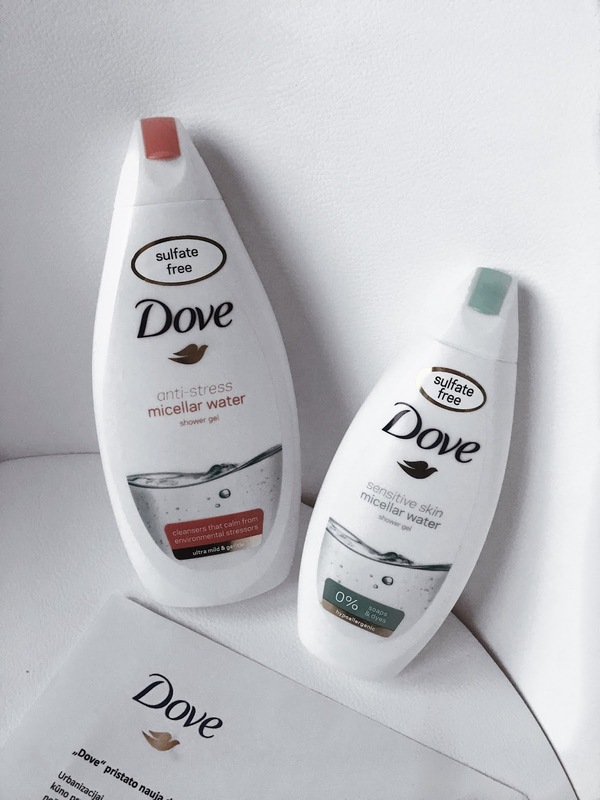 I was overwhelmed to find a new package at my door this morning, but now I am super excited to tell you more about new products from DOVE! 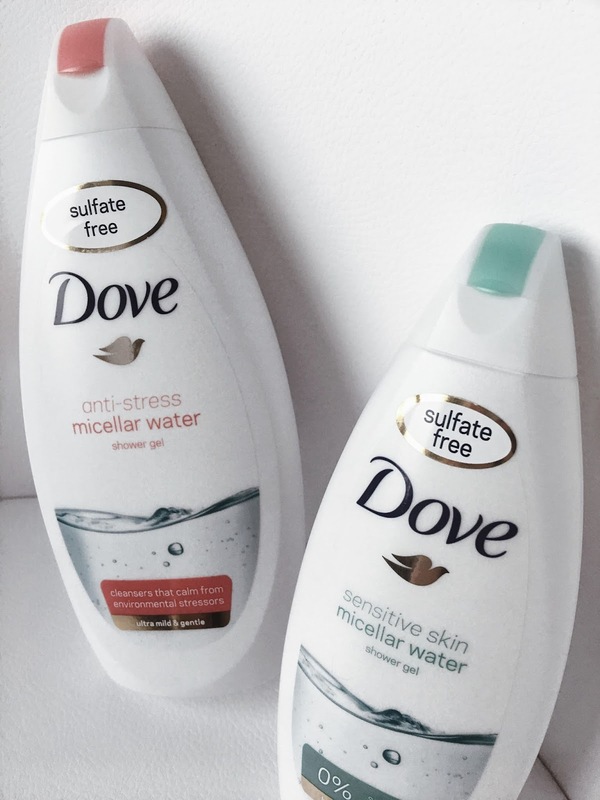 These two Dove body shower gels were developed with mild, effective Micellar cleansing technology. They are sulfate free which is so great for every skin and are suitable for daily uses for body and face. it is hypoallergenic, with 0% soap, dyes and no sulfates. It also has no alcohol and no perfumes in it. Just like the first it's gentle on sensitive skin, it has neutral pH formula. 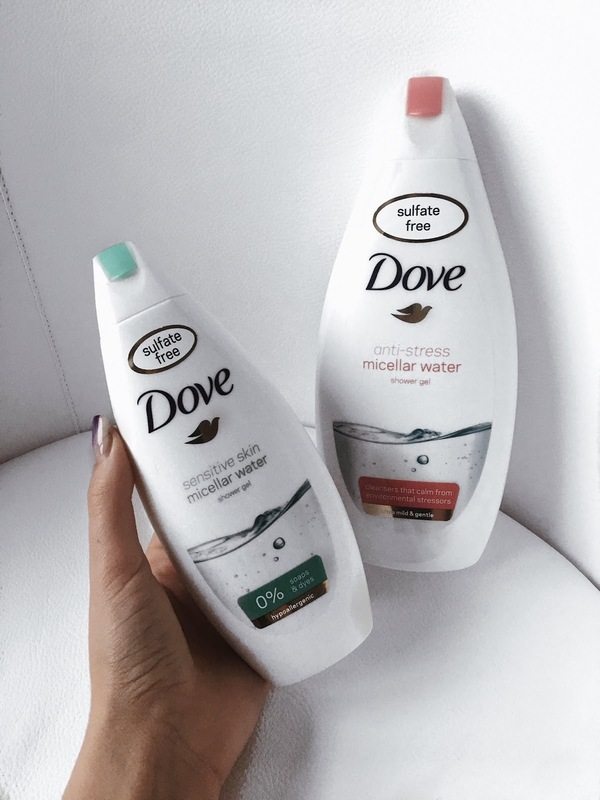 Body wash as mild as water and also it's great for daily use! It has no perfumes, but it has a really soft smell which I like - they both smells so clean, but I like it. Also, love the minimalistic design of the bottles! 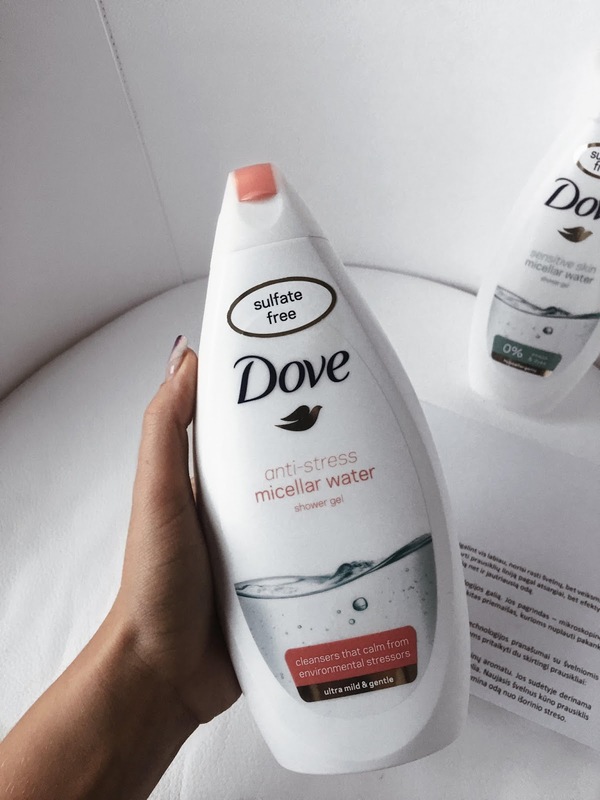 designed to reduce the effects of harmful environmental stressors that can damage, dry out, and irritate the skin, the new mild body wash with micellar water cleansers brings anti-stress skin care to a new level. Gently cleanses sensitive skin, soothes the skin against the environmental stressors, ultra mild, light & gentle, purifies and cleanses to reveal soft, smooth skin. It also, natural ingredients balances skin pH level and it's suitable for daily use on body and face. 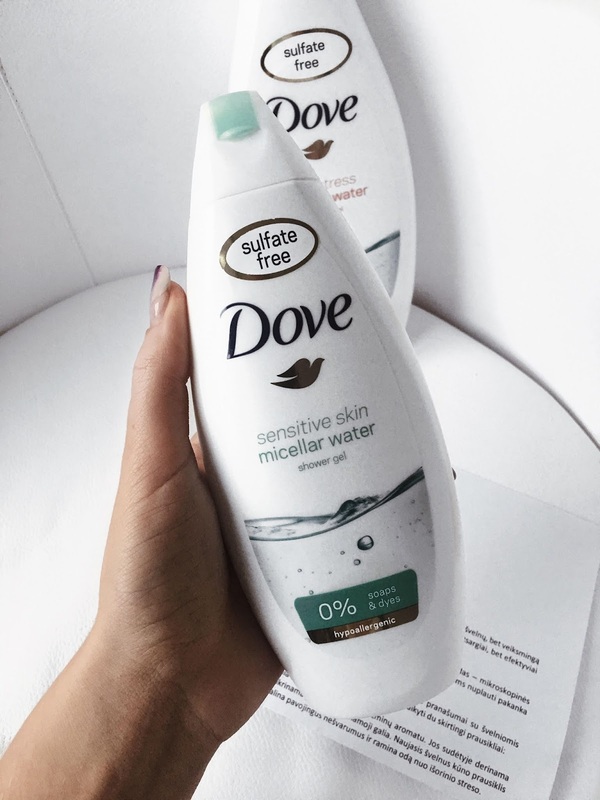 I always knew that Dove has products that includes natural products and cares about the environment. I am delighted to try it out! If you are interested in these products I am sure you can find it in the nearest drugstore. 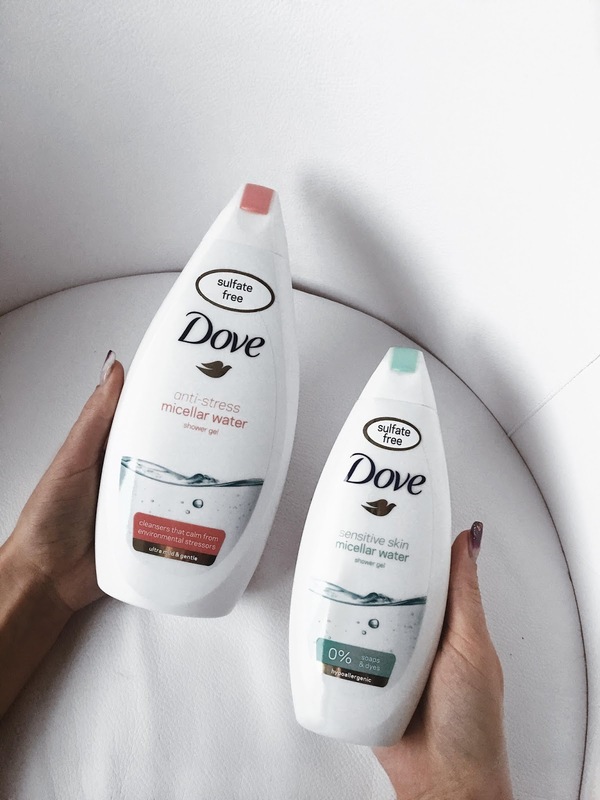 And if you want to read more about Dove you can check out their site. Hope you had an amazing weekend and see you soon!